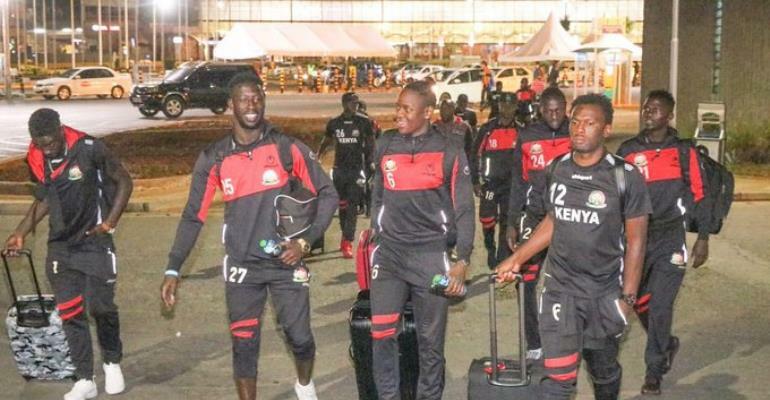 The Harambee Stars of Kenya are expected to arrive in Ghana today for their final Africa Cup of Nations qualifier against Ghana. Kenya left for Ghana via Addis Ababa, Ethiopia early morning on Thursday. The Harambee Stars are scheduled to face hosts Black Stars in their final Afcon 2019 Group F qualifier at Accra Sports Stadium on Saturday. Both sides have qualified for the championship set for Egypt with Kenya topping the group on 7 points followed by Ghana on 4 points. Axed from the 22-man squad is Zesco United striker Jesse Were, who was summoned to step in for injured Japan-based goal-machine Michael Olunga. Despite a good scoring record for club, Jesse has always struggled to replicate the same form for the club. Head coach Sebastien Migne said they are under no pressure heading into the match.